How much is Steven Bochco Worth? Steven Bochco net worth: Steven Bochco was an American television writer and producer who had a net worth of $150 million dollars at the time of his death. Steven Bochco was known for being the producer behind multiple successful television series including, "Hill Street Blues", "L.A. Law", "Doogie Howser, M.D. ", and "NYPD Blue", among others. 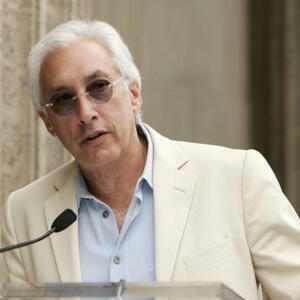 Steven Ronald Bochco was born in New York City, NY on December 16, 1943. He studied theater and play-writing at the Carnegie Institute of Technology. As a writer at Universal Pictures he worked on shows such as Ironside, Columbo, and McMillan & Wife. He wrote Columbo: Murder by the book in 1971. He went to MTM Enterprises in 1978 and worked on Hill Street Blues as a writer and co-creator. The series was nominated for 98 Emmy Awards. After MTM he moved to 20th Century Fox where he produced and co-created L.A. Law, which ran from 1986 to 1994. He then formed Steven Bochco Productions which led to Doogie Howser, M.D. He was a co-creator of NYPD Blue that aired from 1993 to 2005. During his career, Steven Bochco won 10 Emmy Awards, including six for Hill Street Blues. He was inducted into the Television Hall of Fame in 1996. He married Hill Street Blues actress Barbara Bosson in 1970. They had two children before they divorced in 1997, He then married Dayna Kalins in 2000. His son Jesse directed episodes of his father's shows, as well as appearing on Hill Street Blues. Steven was diagnosed with leukemia in 2014 and unfortunately the disease took his life on April 1, 2018. He was 74 years old at the time of his death.